From the 1800s until the early 20th century, the Plimpton family grew fruit and vegetables and raised livestock on their 320-acre farm. In partnership with the Town of Sturbridge, Opacum Land Trust, the USDA Forest Service, and the Massachusetts Department of Fish and Game, we helped preserve the former family farm as part of the Plimpton Community Forest. The property will provide timber revenue to the town, and 15 acres will be reserved for new sports recreation fields. Its location near Wells State Park, the Wolf Swamp Wildlife Management Area, and the Hamilton Rod and Gun Club creates a unique destination of recreational open space and wildlife habitat. 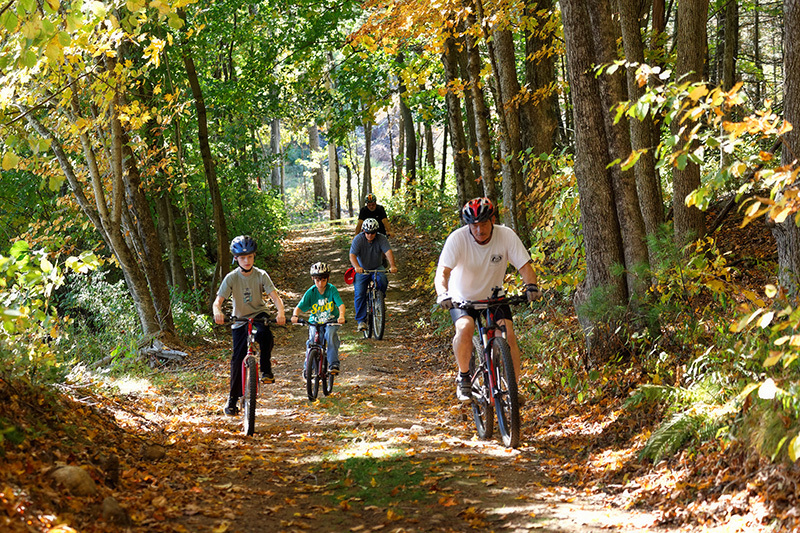 In July 2015, Plimpton Community Forest opened as part of a 2,700-acre tract of connected open space and wildlife habitat, providing a new community resource for recreation, like hiking, mountain biking, dog walking, hunting, and fishing. Voters in Sturbridge approved the purchase of the forest, using a combination of Community Preservation Act funds and local, state and federal grants, and philanthropic gifts.